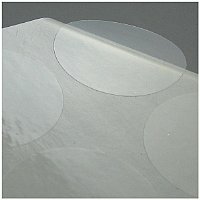 Super clear round stickers to seal photo boxes. 100/Pack. They are shipped 20/sheet and there are 5 sheets per pack. Just peel the clear round sticker off the sheet and use it to seal the box. This is a proven solution to help prevent theft. Your retailers will thank you for them!